Checkout the video below to get inspired. 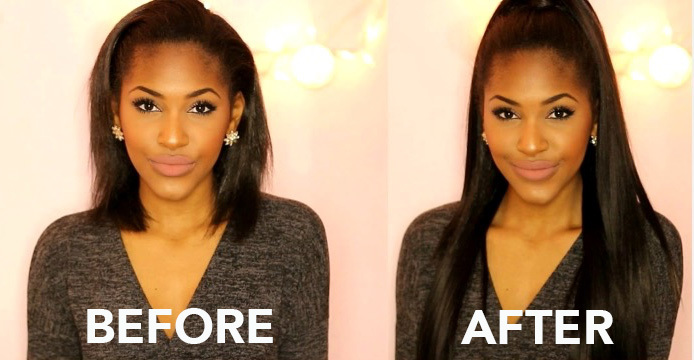 Half up and half down hairstyles are super hot. It is a great way to keep hair fancy without being formal. It is ideal for either everyday wear or proms. 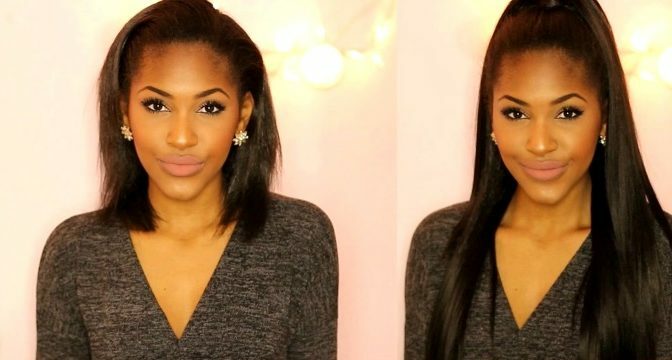 Half up and half down hairstyles are perfect for medium length hair or long hair. It is a popular spring time style choice. 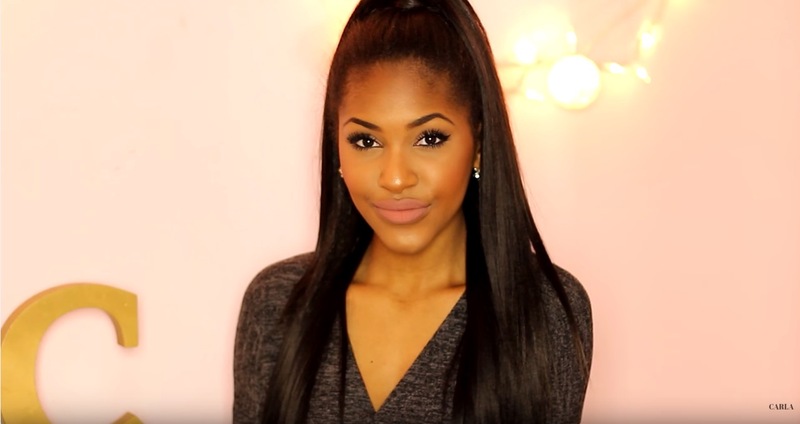 This video tells you how to create an sleek half up and half down hairstyle with clip in hair extensions. 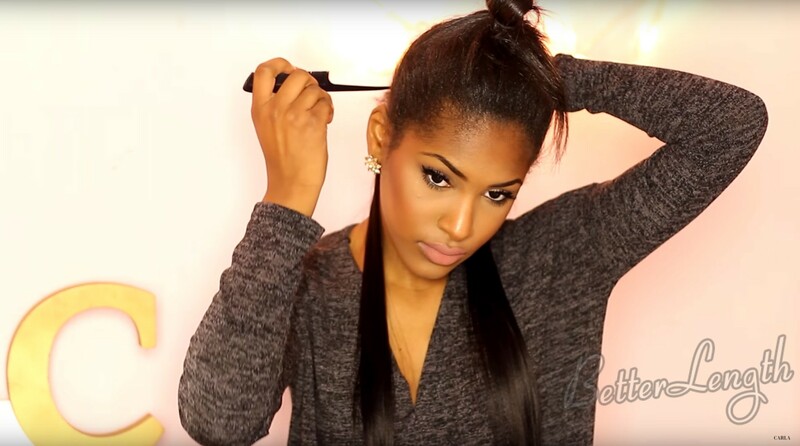 The product that used in this video is one set 20″ light yaki clip ins. Find the same hair here. Take the elastic band from the top of your ponytail and section off the bottom just in case the partings get mixed up. 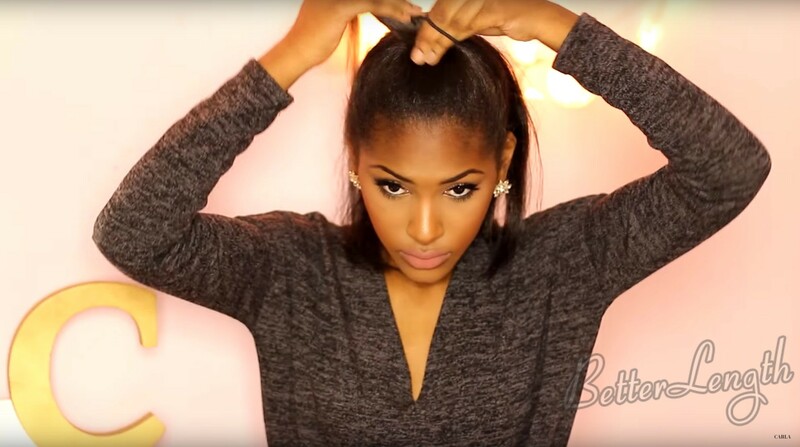 And then put on your clip ins at the top section of your hair and then slip that into a high ponytail. And then here is the finished look.